You don’t really need to be told that your mood and your sleep are correlated. After all, just one night of tossing and turning can result in a foul or sensitive mood the next day. However, have you ever wondered just why this happens or what the real link between mood and sleep is? If you have, you are in the right place. This article deals with all aspects related to these two elements and determines how they affect one another. It also takes a look at how this relationship can be used to your benefit. What Impact Does Sleep Have On Your Mood? Now, when you get the right amount of sleep, it benefits your emotional well-being, thus putting you in a good mood. However, if you lose out on sleep, you are far more likely to have to contend with more negative emotions. So, let’s take a closer look at this phenomenon. How Does Enough Sleep Result In A Good Mood? The truth is, there isn’t actually a lot of research into how sleep impacts positive emotions since most experts are interested in the opposite effect. Still, there is some research to suggest that how much sleep you get can determine your mood and even your personality. A community-based sample took a look at the number of hours that individuals slept and how it affected their optimism and sense of self-esteem. In the sample size of 1,805, it was found that people who got between seven and eight hours of sleep a night reported the highest level of optimism and self-esteem. Those who got either less than six hours or more than nine hours were more likely to have lower self-esteem. This fits in with the evidence provided by the National Sleep Foundation that adults should be aiming for between seven and nine hours of sleep each night. Thus, individuals are able to see themselves in a more positive light when they get just the right amount of sleep. Now, if sleep results in a good mood, how important is it for the well-being of individuals, particularly in the long run? The Sainsbury’s Living Well Index (in conjunction with Oxford Economics and the National Centre for Social Research in the UK) indicates that quality of sleep is one of the most significant elements among people who are satisfied with their lives. In fact, when experts looked at the criteria that stood out the most for people who were happy versus those who were struggling, the answer was clear: an adequate amount of sleep was the main difference between those people who were content with their lives and those who weren’t. 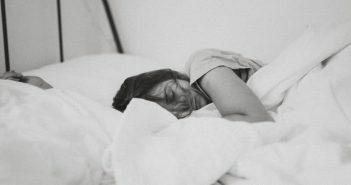 Another cross-sectional study that included 736 participants took a look at whether sleep could triumph over other psychosocial factors that led to poor well-being. These included aspects such as psychological distress and financial strain. The study proved that when the participants got enough sleep, they were more likely to experience an overall positive sense of well-being. At the same time, it was discovered that adequate sleep could also work to overcome the negative psychosocial triggers that people experienced on a daily basis. How Is Your Mood Affected By Too Little Sleep? Now, let’s consider the flip side. There is no denying that you are more likely to have a negative reaction to various situations when you don’t get enough sleep. However, what is the extent of this phenomenon? The answer to this can be best described by examining a study conducted on medical residents. Researchers followed the two years of residencies of 78 individuals, taking note of their responses to various circumstances throughout their day. As expected, the sleep-deficient residents were more likely to react negatively when confronted with uncomfortable or troubling situations. What was surprising, though, was that even satisfactory or positive situations were marred by negative emotions. This means that when tired, people are less able to experience enjoyment than if well-rested. With all these results in mind, let’s examine how the parts of your brain responsible for mood work when you haven’t slept enough. An eye-opening experiment looked at how the brain responded to stimuli after sleep deprivation. Now, the main brain structures to focus on here are the amygdala, medial prefrontal cortex, and the locus coeruleus. The amygdala is a midbrain structure which is responsible for the analysis of emotion. When sleep- deprived participants were shown images ranging from bland to gruesome, their amygdala displayed considerably greater activity than the control group. Thus, when you don’t get enough sleep, your brain is more likely to have a significant response to stressors. The findings didn’t end there, however. Typically, the amygdala communicates with the medial prefrontal cortex of the brain. During this process, your brain is able to put the images and experiences it is viewing into proper context. However, what this experiment showed was that this communication was less prevalent. Instead, the amygdala was interacting more with the locus coeruleus (versus the control). This brain stem area is responsible for the release of norepinephrine, which is a precursor to adrenaline. Adrenaline, of course, is what can trigger the flight or fight response in your body. Are Your Sleeping Patterns Influenced By Your Mood? There isn’t just a one-way link between sleep and mood. This is because mood has just as much of an effect on your sleeping patterns as vice versa. Thus, how well you sleep can be determined by your emotional state. Your body and brain perceive stressors and unpleasant situations as threats. This means that when you are confronted with stressful situations, specifically ones that you deem to be out of your control, your body goes into a state of arousal. In essence, your body is readying itself for a fight or flight response. Now, if the negative emotions or stress are temporary, it is unlikely to impact your mood or your sleeping patterns too much. However, if you continue to experience these adverse responses over and over again, your body will continue to be in a heightened state of alertness. Now, as you can imagine, it is quite difficult for you to fall asleep when your body is being constantly stimulated. So, this is how negative moods and emotions can disrupt your sleeping patterns. This, in turn, can create a vicious cycle. The most logical question, then, is what should you do with all this information? How can you put it to good use? Well, there are a few ways to do this. The most obvious one would be to improve your sleeping patterns so that you are getting enough sleep each night. 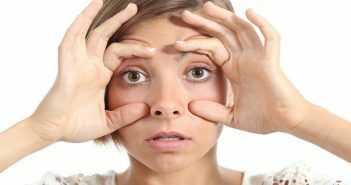 As the research above shows, it is imperative for you to get no less – and no more – than seven to nine hours of sleep if you’re an adult. These sleeping patterns also have to be followed on a consistent basis if they are to help you maintain a positive mood. Of course, as you have learned, it is important to alter your mood so that you can actually sleep well in the first place. In the event that you are looking for solutions to improve your mood, you may find that mindfulness-based practices can improve your quality of sleep. 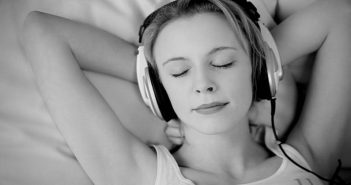 By working on relaxation techniques such as breathing and meditation, you will notice that you have greater emotional well-being and are able to sleep more soundly. You may also want to try repeating some positive affirmations designed to help you overcome stress and anxiety. Exercise and good nutrition are also key areas that can influence your mood and the balanced functioning of your body and mind, thus affecting sleep. As you can see, the relationship between sleep and mood is a complex one. They influence one another which is why it is important to understand both sides of the equation. This two-way causal link can lead to both positive and negative cycles where sleep impacts mood and vice versa. Only by understanding this link and working with it will truly be able to improve your mood as well as your sleeping patterns. How Much Deep And REM Sleep Do You Need Each Night? Perfecting The Art Of Napping: What Makes The Best Possible Nap?